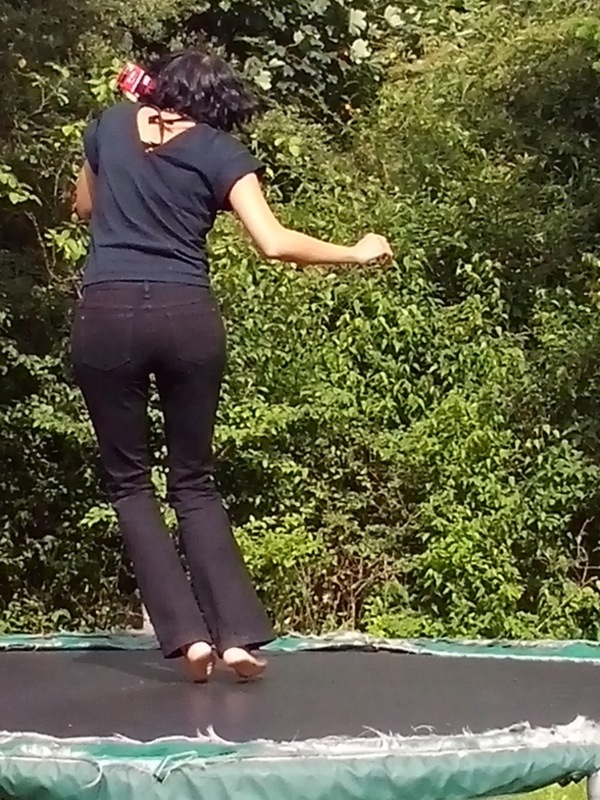 I’m jumping next to Marie-Laure in my Second-Yoga jeans (made and bought in Canada) and a re-purposed Prada top. 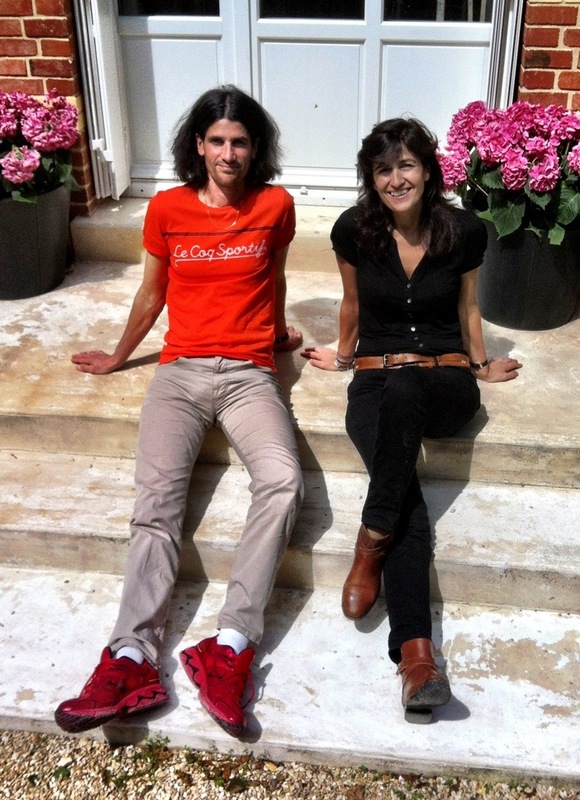 I have another post coming with Marie-Laure and her boots, which she has kept and repaired several times over the past 20 years. 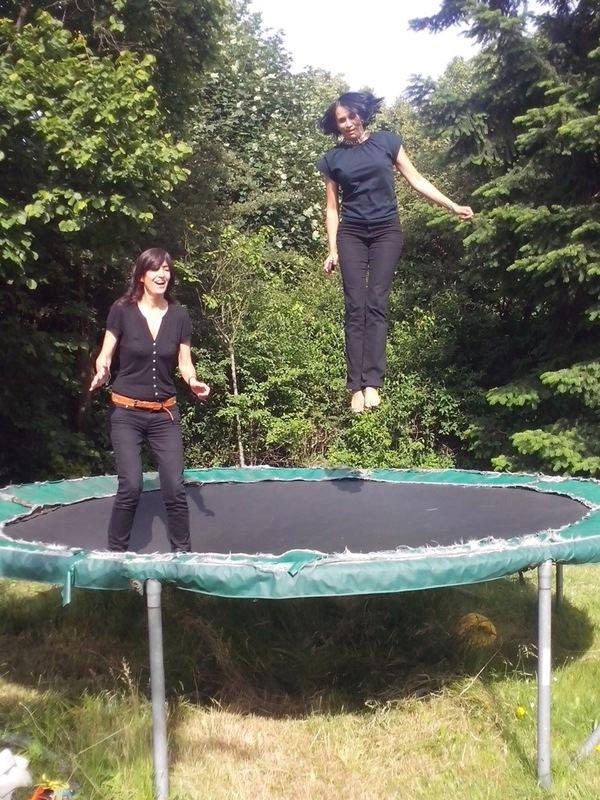 We spent most of the sunny summer Parisian day watching our children jump on the trampoline. 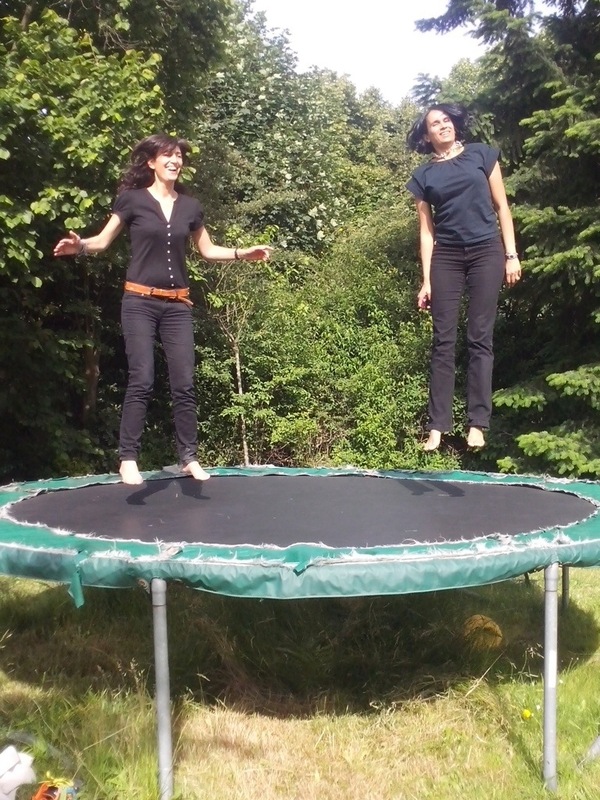 After the kids eventually tired, Marie-Laure and I seized the opportunity to bounce. This entry was posted in Fashion, Stephens Sister's Shopping Diet, Style-Diet Shot and tagged Catherine Courty, ethically-produced, Gurdeep, locally-made, Marie-Laure, organic clothes, prada, re-purposed clothes, recycled clothes, Second Yoga Jeans, second-hand, Stephens Sister's Shopping Diet, Style-diet Shot, sustainable clothes, Thomas Jefferson on July 21, 2013 by Gurdeep Stephens.